Boston, MA – Labor trafficking is a gross violation that affects hundreds of thousands of Indian children each year. Despite the Indian government’s considerable attention to the problem, the rescue and reintegration apparatus is beset by a range of problems that can leave children at risk of further harm, according to a new report published today by Harvard University’s FXB Center for Health and Human Rights. 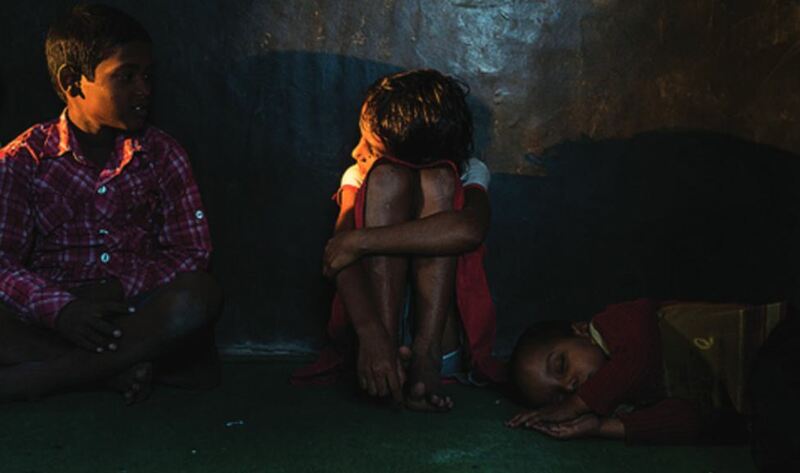 “Lack of accountability, a lack of coordination between the different agencies, lack of training, lack of support for those working in both the raid contexts where children are initially found and in the home context to which children are returned” are the overarching problems, said Jacqueline Bhabha, research director at the Harvard FXB Center and the project’s principal investigator. The report, “Is This Protection? Analyzing India’s Approach to the Rescue and Reintegration of Children Trafficked for Labor Exploitation” provides a comprehensive and critical analysis of the Indian government’s efforts to rescue and reintegrate trafficked children into families and communities. Child trafficking is the act of recruiting, transporting, transferring, harboring or receiving children for the purpose of exploitation, either within or outside a country. The 2011 Indian census estimated that 4.3 million children were engaged in child labor. Government statistics indicate that over 126,000 cases of trafficking for child labor were registered during 2011/12. However, due to measurement challenges, available numbers grossly underreport the extent of the problem. The Harvard FXB Center report reveals startling gaps between commitments at the policy level and realities on the ground. It is based on a survey of 49 governmental and non-governmental actors in three Northern Indian locations – the labor trafficking source state of Bihar, the destination state of Rajasthan, and the capital city and policy hub of New Delhi. Rescue raids are often poorly planned and executed. This leads to inconsistent filing of First Information Reports of crimes committed by police, low rates of prosecution, and inadequate delivery of post-rescue care for children. Reintegration of trafficked children is treated as a fixed, short-term process that ends when children are put back into family and community environments. The substantial post-rescue needs of trafficked children, including medical care, counseling, and education, are more often than not, neglected. Families of rescued children do not get the ongoing support—financial, social, and psychological— needed to mitigate the risk that their child will be re-trafficked. Education programs for reintegrated children do not fully address children’s social, emotional, and curricular needs. Many trafficked children have never had formal schooling. They require consistent, dedicated services to help facilitate their integration into a system of formal learning. The urgent need for specialized teacher training and support for reintegrating trafficked children is neglected. An effective response to this widespread problem requires extensive coordination of numerous governmental and non-governmental agencies across both space and time. To date, despite considerable government attention to the problem of child trafficking as a whole, none of the essential elements for ensuring this critical coordination are in place. Though greater and more consistent funding could benefit the provision of necessary interventions, the authors argue, what is chiefly needed is a well-integrated and better overall systemic response. The report identifies several recommendations that can be immediately implemented to bridge these gaps in implementation and service provision. Chief among them is the prioritization of a child-rights approach to intervention. Integrating a child-rights approach to rescue and reintegration policy, the authors say, is not only the best thing from the perspective of exploited children, but also the only effective way to tackle this pervasive and urgent social problem in the long term. For additional information, please contact Tezeta Tulloch, Harvard FXB communications director, at ttulloch@hsph.harvard.edu or (617) 432-7134.